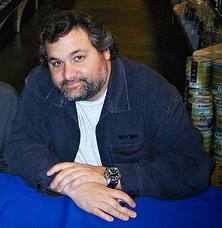 “If there is a higher power, I’ve got some explaining to do” says Comedian Artie Lange. His rare appearance last night was a bit more raw than most on HBO’s new show Crashing is a semi autobiographical show that follows fellow comedian Pete Holmes as he persues his career as a stand up comedian. Lange showed up in a suit of honesty, playing the part that reflected his own addictions and recent legal problems. Langes’ has been MIA from the comedy scene for quite some time, but has been busy dealing with legal troubles instead. The Union Township native was arrested 3 times in 2017, once in May for driving erratically where police then found a bag of heroin in his lap. Then again in December for failing to appear in court for the controlled substance charge he obtained in May. He recently plead guilty to possession of 81 bags of heroin. He is scheduled to be sentenced on February 23. The episode follows the comedians as Holmes recruits Lange for a benefit show for another comedian (Wayne Federman) after he’s been diagnosed with Hodgkin’s Lymphoma. When Holmes arrives there are two sketchy looking men leaving his apartment and Holmes wants to try and be supportive. “Let me help you,” Holmes tells him. After Artie agrees to headline the benefit show, he starts to think about the moral rewards from his appearance. “I know I’m going to need a benefit some day so I’m putting out some karma,” Lange explains. He’s straightforward about his absence from the spotlight in an encounter with a fan. “Do me a favor, tag me on that, so that people know I’m alive,” says Lange, who missed shows this and last year while in the hospital for blood sugar issues and when he was in treatment and rehab stemming from struggles with drug abuse. In a scene with Holmes and Lange talking about Lange’s recent issues, the senior comedian talks about his experience with a 12 step program. “Life’s weird now, it really is,” Lange tells Holmes, calling Alcoholics Anonymous “too religious” for him. The comedian goes on to reference a true story about his father, and the accident that caused him to become a quadriplegic after falling off the roof. His family had no insurance, he tells Holmes. “You’ve got to go on welfare and it ruins your whole family,” he says. When the night of the benefit arrives, Artie is no where to be found. Holmes is frantic, and begins pulling other comedians to fill the time slots, until the time for the headliner has come. Holmes has to tell the crowd that Artie isn’t going to preform but their money went to a good cause, Fenderman’s Cancer Treatments. Once Lange is found after the benefit ends, Holmes demands an explanation for his absence. “I was out scoring. I was out trying to buy drugs, OK?” he says. Although he says he isn’t going to change, he’s open with his regret toward himself. “It’s over, it’s just over,” a resigned Lange tells Holmes. In return, Holmes says Lange should see the opportunity he’s been given in life and turn over a new leaf. As much as Holmes tries to help, he learns through a conversation with another comedian, that is needs to be Artie’s decision to get better, not his. Crashing airs on HBO on Sunday Nights.